Reflexology. We’ve all heard of it, we may have even tried it. But what makes it so effective? Is it more beneficial than simply the relaxation and bliss of a general foot rub? 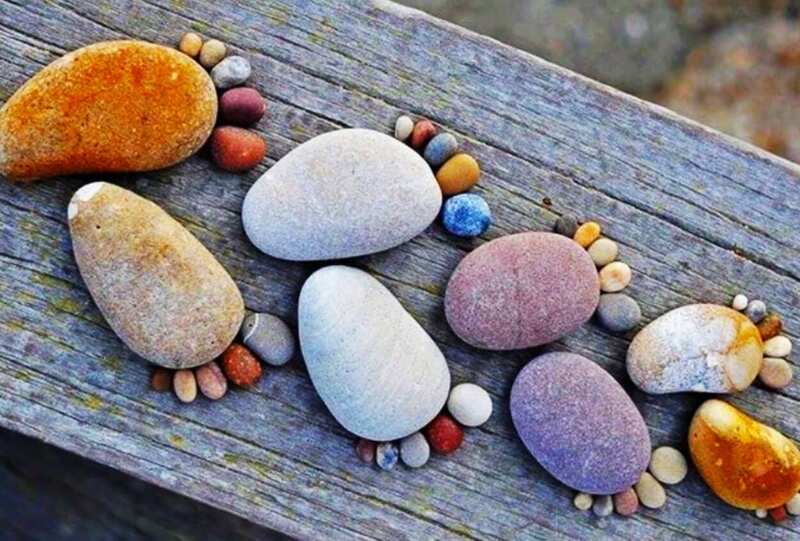 Reflexology is the application of pressure to areas of the feet, hands and ears for improved wellness. The theory goes that all our nerve endings found in these parts of the body (feet, hands and ears), correspond with the different body systems and organs. By focusing pressure on a specific area of the foot, we are relaxing surrounding tissues and sending a direct electrical signal to the corresponding body part. This concentrated manipulation is believed to benefit the nerve pathways and channels, clearing out blockages, stimulating the natural healing process and encouraging relaxation. 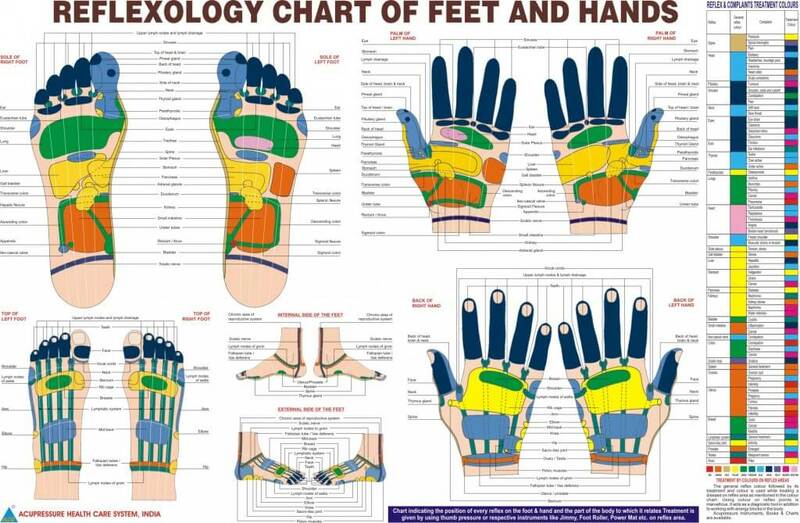 Reflexology charts have been mapped out to be used as a guide to help practitioners maintain specificity during treatment. The use of fingers, thumbs, knuckles, wooden sticks, rubber bands and firm balls are all commonly used. Basically, reflexology has all the same benefits as massage, only with some extra goodness. It’s foot massage with a cherry on top. You will not find a proper reflexology treatment to be going cheaply, and it is often carried out by chiropractors, physiotherapists, and highly trained massage therapists among other respected professionals. 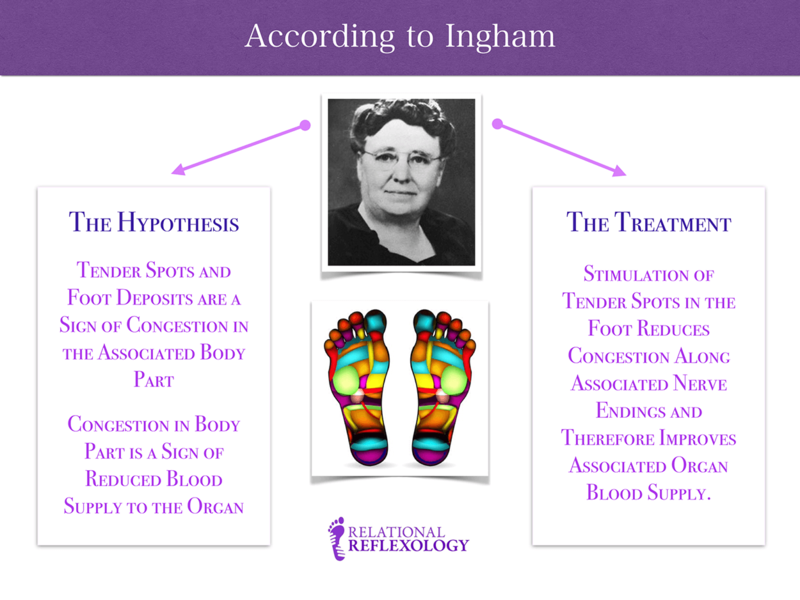 The theory behind reflexology is not scientifically proven, yet. However, time and time again we have seen the results, and felt the benefits firsthand. At the end of the day, no matter what you believe, it all comes down to personal experiences and client feedback. Reflexology, acupressure and massage have been around for thousands of years. The Romans did it, even Ancient Egypt shows us artifactual evidence of the practice being popular. Eunice worked alongside like-minded doctors, and their work helped pave the way for Ingham’s success. The fascinating history and backstory to all of that can be read here. Eunice believed that by targeting tender areas in the foot (which were not related to a foot injury), you could in fact alleviate the tenderness and help the organ which was causing the corresponding area of the foot to feel sensitive in the first place. Applying pressure to this type of tender area creates a pleasant pain, and shocking sensation. That might sound strange, and if you haven’t ever experienced it before, it can be quite hard to explain. It’s a strong, sharp pain (or discomfort), which brings relief during, and especially after pressure is released. Like with a tense, sore muscle; the more you massage it the better it feels. But it also kinda hurts. Sometimes REALLY hurts. It’s all down to the practitioner to know what their client’s threshold is. No person is the same, and so maintaining an open line of communication throughout a treatment session will ensure no harm is done, and the best possible outcome is attained.